The transition from being a couple to becoming new parents might seem like a walk in the park, but 67% of couples report dissatisfaction, increased hostility and a decline in intimacy for up to two years after their baby is born. While most expecting couples are preparing for the baby’s needs, they often don’t think about how their new bundle of joy will impact their relationship. As a Bringing Baby Home Educator and workshop presenter for the Bringing Baby Home program, I help couples learn how to manage the transition to parenthood with ease. They learn how to strengthen their relationship, keep intimacy intact and handle conflict effectively. Research from the Bringing Baby Home workshop also shows that it reduces the rate of postpartum mood disorders. Now that you know the challenges associated with having a new baby, are you ready to be the best co-parenting team possible? Here are 7 easy to use tips on how to keep your relationship thriving as you transition to parenthood. Strengthen your knowledge of one another’s inner world, or love maps, by asking open-ended questions. Most couples make statements instead of asking questions. “What’s for dinner?” or “Here, take this” are common phrases. These comments are matter-of-fact and don’t open up an opportunity for dialogue. Instead, try asking questions that spark conversation. “What stressors are you currently facing?” “What are some important events coming up in your life?” “How do you envision our family’s future in the next 5 years?” “What kind of parent would you like to be?” “How are you enjoying parenthood so far?” You will change your relationship when you start asking your partner questions rather than making statements. Understand the four most destructive relationship behaviors and how to avoid them. Criticism is suggesting the problem is your partner’s character defect. Defensiveness is denying any responsibility for the problem. Contempt is making yourself superior by mockery, sarcasm, eye rolling or exhibiting feelings of disgust. Stonewalling is withdrawing from the interaction by shutting down or storming out. Instead, complain about what you’re unhappy about but don’t blame your partner. Take some responsibility for a part of the problem. Create ways to appreciate your significant other for all that they do and take a break if you’re feeling flooded. 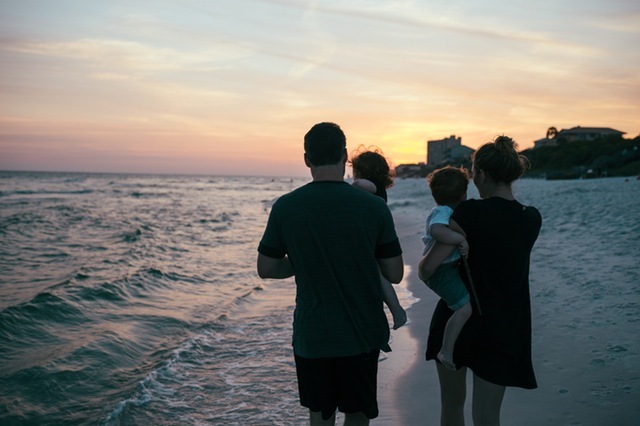 Move from “me-ness” to “we-ness.” Focus on team efforts at parenting rather than the idea “every man for himself” and “every woman for herself.” Work on doing things together and tackling parenthood side-by-side. Be aware of the needs of your partner and respond to them. In order to really reach and connect to one another during a time of intense exhaustion and hard work, you have to make it a point to be mindful with one another. Look for every opportunity to respond to the needs of your partner. It may be a passing remark like, “I’m so exhausted, I’m seeing double as I fold this laundry” or “Can you please help me with the baby?” These moments are when you should respond to the needs of one another. As you continue to meet your partner’s expectations, you become closer and more intimately connected. Have a daily stress-reducing conversation. A daily stress-reducing conversation is a 20-minute dialogue where you discuss stressors outside of the relationship. It’s critical to managing daily stress while also providing support and connection. We all have stressful days that have nothing to do with our significant other but without the proper forum to vent about it, we can often turn it on them. Practice Effective Conflict Regulation. The first 3 minutes of how a problem is raised determines the outcome. Step 1 is raising issues in a soft and gentle way by making I-statements, keeping criticism at bay and talking clearly about what you need. This is a primary factor for relationship satisfaction. Step 2 is being able to understand your partner’s point of view and take responsibility for part of the problem. Step 3 is being able to repair the negative interaction with humor, affection or acknowledgment. And step 4 is seeking compromise by being able to give up part of your position for the sake of the relationship. With these 7 no-brainer and easy to implement skills, you’ll be on your way to a happy and more successful partnership when your baby arrives. Perfecting these tools early on will make the transition manageable so that you don’t have to worry about your relationship. Instead, you can focus more on getting to know your baby and enjoying every high and low that comes your way.